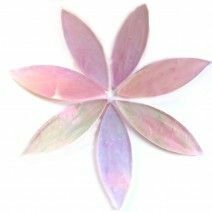 A selection of individually hand-cut petals made from Tiffany coloured mirror. Measuring 15x38mm and 3mm thick, each petal is cut and shaped individually so there will be variations in size and shape. They also display tonal variation, because the stained glass colours may differ in hue and depth. Please note that the actual items may not perfectly match the photos. Hand cut squares of Tiffany mirror that measure 20mm, 3mm thick. These are chromed mirror with no mercury and are sealed with a resin coating for protection against weather. Use a pH neutral glue (not cementitious adhesives such as quickset or mortar). As these are handmade there might be small variations or irregularities these are not considered a defect. 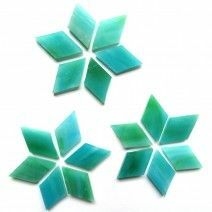 Hand cut stained glass ovals with pointed ends making them very suitable for petals, leaves, scales or accents in both Tiffany work or mosaic. Easy to cut using wheeled nippers. 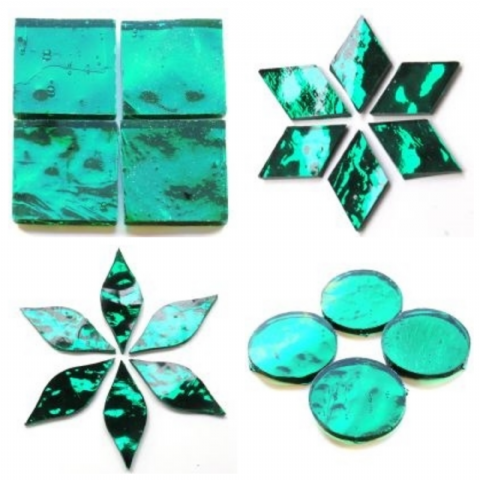 These beautiful diamonds are hand cut by artisans from Tiffany style stained glass, they are versatile and practical either used whole or cut to make smaller triangles. 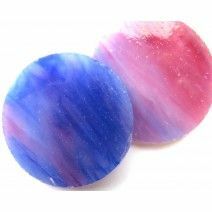 They come in 2 sizes 10x17mm and 15x25mm and are 3mm thick (some may be slightly thicker). Please remember as these are hand cut forms there may sometimes be slight variations or imperfections, this is not considered a defect. Hand-cut circles made from Tiffany mirror with 25mm diameter. The thickness is 3mm and combines easily with all standard stained glass and mirror. As these are individually cut and shaped there will be slight variations. Please note that the actual items may not perfectly match the photos. A selection of stained glass in cathedral, opaque and iridised finishes. 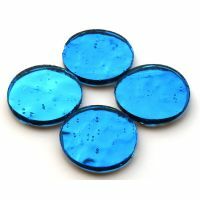 Perfect for glass on glass mosaic as well as large scale murals and mosaic paintings. 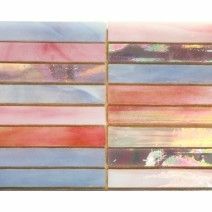 Artisan hand-cut stained glass tiles (11.5x11.5mm) made from recycled window glass and mineral oxides. 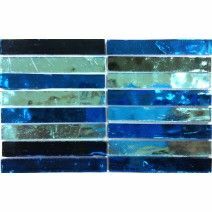 Colour fast and frost resistant this product removes all the guesswork from making tile from Tiffany Glass. Please note that as this is a handmade product the might be minor variations in size and colour. 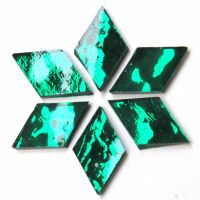 Hand cut slivers of mineral coloured mirror 1cm wide and 6.5cm long in dazzling colours and finishes mounted on plastic sheets for easy removal. 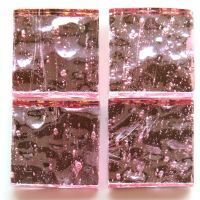 Perfect for mini and micro mosaic and for all the mosaic artists that love the beauty of stained glass but not the work to cut those giant sheets down to tesserae. 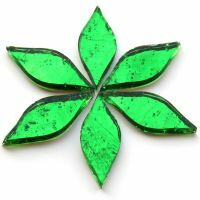 Hand cut slivers of mineral coloured tiffany glass 1cm wide and 6.5cm long in dazzling colours and finishes mounted on paper sheets for easy removal. 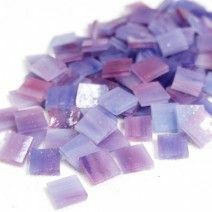 Perfect for mini and micro mosaic and for all the mosaic artists that love the beauty of stained glass but not the work to cut those giant sheets down to tesserae.